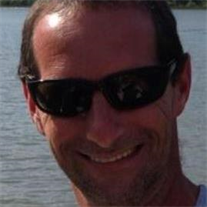 James T. Kerr Jr., 48, of Claridge, died unexpectedly Monday August 28, 2017. He was born January 12, 1969 in Braddock, a son of James T. Kerr of North Huntingdon and the late Linda (Ryan) Kerr. Jim was a transportation refrigeration mechanic for SuperValu, New Stanton, and Penske Truck Leasing, Mt. Pleasant. 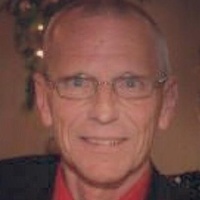 Jim was an outdoorsman and enjoyed boating, camping, hunting, and fishing. In addition to his father he is survived by his wife Jennifer L. Kerr; his sons James T. Kerr III and Tyler Kerr; his sister Cindy Kemerer and her husband Norm of Apollo; also nephews and niece Michael and Erica Kemerer, and Luke and Dalton. Pearl Pavelko, 90 of Liberty Borough, died August 28, 2017 at St. Clair Hospital. Born June 2, 1927 in Duquesne, she was the daughter of the late Stephen and Barbara Greso and wife of the late Joseph Pavelko. Ronald Peter Suncine, age 79 of North Huntingdon, formerly of McKeesport, died August 28, 2017 at Southwestern Veterans Center. Born May 21, 1938 in McKeesport, he was the son of the late Peter Suncine and Margaret (Bernard) Serdy. Sophie (Nikolich) Kovacs, 87, of Mt Lebanon, formerly of Duquesne, Passed away Peacefully in Family Hospice and Palliative Care, Mt Lebanon, August 28, 2017. Born in McKeesport, March 30, 1930, she was the daughter of the late Alec and Anna Grantz Nikolich. Mrs. Kovacs was a member of St. Sava Serbian Orthodox Church, McKeesport. the Holy Trinity Kolo of Duquesne, and the Order of the Eastern Star, Duquesne Chapter. She was also a retired employee of Penn - Taft Pharmacy, West Mifflin. She was the beloved wife of the late Zoltan E. Kovacs. She is survived by two loving daughters, Alexis (Bill) Nestor and Monica (Tom Morgan) Kovacs; four grandchildren, Dan (Tracy) Ford, William Ford, Julian Horta Kovacs and Christian Horta Kovacs; three great grandchildren, Rowan, Ripley and Ryan Ford; and nieces and nephews. 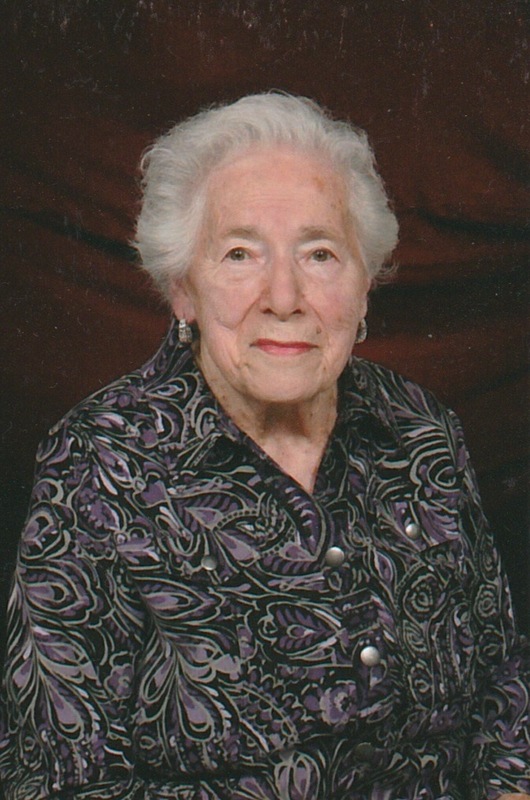 Wanda J. Balawejder, age 98, former McKeesport resident, passed away August 28, 2017 in Excela Hospital, Greensburg. She had been a resident of St. Ann's Home in Greensburg for eight years. Wanda was the wife of the late Joseph Balawejder. She is survived by daughters Dorothy (John) Clougherty, Mary Ann (Thomas) Smith and sons Robert (Shelly) and Martin Balawejder. She is also survived by five grandchildren and eight great-grandchildren. Mary Theresa Santora, age 66 of McKeesport, died Wednesday, August 23, 2017. She was born in New Kensington on September 13, 1950, the daughter of the late Perry and Jayne Devine Holsinger. Lawrence J. Malone, age 56 of West Mifflin, died Sunday, August 27, 2017. He was born in McKeesport on January 7, 1961, the son of the late Stephen A. and Margaret E. Gajdzik Malone. JENNIFER L. BELFIORE, 28, of Glassport, died Aug. 27, 2017. She is the daughter of the late William and Lisa (Swantek) Belfiore. Jennifer is survived by her sisters Patty (Edward Rager) Belfiore, Christan Potter and Nicole Potter; grandmothers Patricia Swantek and Paula Belfiore; nephews Jonathan, Bradley and Ryan and niece Kaylee. She was preceded in death by her brother William "Ed" Belfiore and sister Heather Belfiore. Friends received Wojciechowski Funeral Home, Glassport, Wed. 5 to 7:30, at which time a funeral service will be held with Rev. Robert Nicklow. Mark S. Booth, age 70, of Elizabeth Twp., passed away on Sunday, August 27, 2017 at HCR Manor Care Bethel Park. A graduate of Thomas Jefferson High School in 1966, he grew up in Pleasant Hills. In 1967-68, Mark served in the U.S. Army during the Vietnam War. Afterward, he worked at the former National Carbide Die Company in Versailles for 35 years. In 2005, Mark became a single lung transplant recipient, surviving for 12 years. He was a loving father and grandfather, a favorite uncle, a best friend — a mechanically gifted man who was also a lover of building and riding motorcycles. Shirley Ann Evans, 64 years old of McKeesport, Pennsylvania, passed away Thursday, August 24, 2017 at home. Alberta Henderson McQueen, 95, of McKeesport, Pennsylvania, died August 24, 2017 in UPMC McKeesport Hospital. Ilona M. (Dunay) Cole, 75, of North Huntingdon, died Sunday August 27, 2017, at home. She was born June 14, 1942 in Swissvale, a daughter of the late Michael Thomas and Helen Dunay and was also preceded in death by her husband Edward L. Cole Sr. and a sister Lillian Balkovec. Ilona was a former employee of U.S. Steel Carrie Furnace, and a member of F.O.E. Aerie, 1671, Irwin. She loved her home and enjoyed having family over for Sunday dinners. She also loved her dogs. Surviving are her children Theresa M. (Thomas) Lusher, Edward L. Cole Jr., and Michael T. Cole all of North Huntingdon; her former daughter in law Sara Czolba; her grandchildren Jessica M. Ellis, Cole T. Lusher, and David, Zachary, Cheri, Michael, and Dustin Cole; her great grandchildren Aleeah Jean Cole and Maisy Elizabeth Gorman; also brothers and sisters in law; nieces and nephews. Albert A. Mayer, age 88, of McKeesport, died Aug. 25, 2017, at Forbes Hospital in Monroeville. Born Dec. 6, 1928, in McKeesport, he was the son of the late Albert E. and Rose Mary (Rice) Mayer. Shirley F. Kisselovich, 88, of Elizabeth Township, passed peacefully at home Thursday, August 17th, 2017 with family by her side. She was born October 3rd, 1928 in Elizabeth, and was the daughter of the late Bruno Econovich and the late Mary Supernovich Econovich Janolewicz. 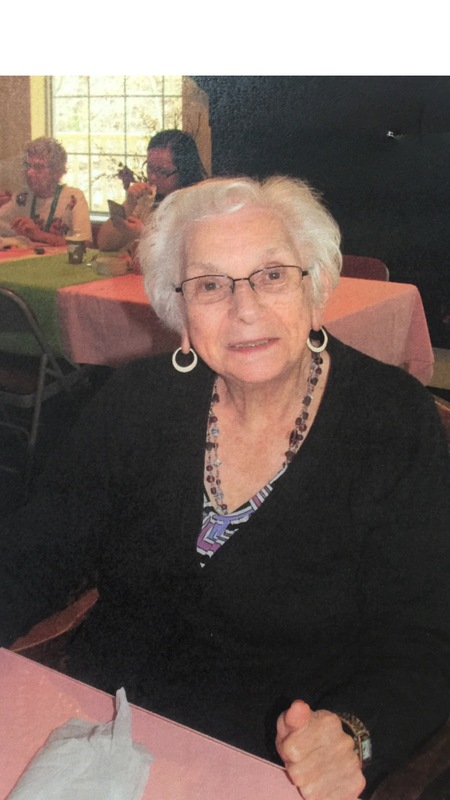 She was the beloved wife of the late Theodore Kisselovich Sr. Shirley was a member of St. Michael Parish in Elizabeth Township and the former St. Denis Catholic Church in Versailles. She was retired from Sears Roebuck & Company and the former Bell Telephone Company of Pennsylvania. She was an enthusiastic Pittsburgh sports fan and an avid bird watcher. She is survived by daughters Kristeen Gouveia of Elizabeth Township and Valaree Georgiadis of Fox Chapel, and sons Theodore Kisselovich Jr. of Hendersonville, TN and Stuart Kisselovich of Delray Beach, FL. She was a loving grandmother of eight: Richard, Lindsay, and Matthew Gouveia, Alexis, Margaux, Luke, and Ted Georgiadis, and Kaylor (Kisselovich) Spence. She is also survived by two great grandsons, Bryson and Mason Spence. George R. Warnett, age 83 of White Oak, died Thursday, August 24, 2017. He was born in New York City on August 22, 1934, the son of the late George V. and Marie Piscotty Warnett. He served in the U.S. Army and graduated from New York University. 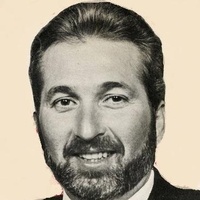 He worked as a field engineer for Lockheed-Martin until his retirement and volunteered six years for the Cardiac Rehabilitation Center in Westchester, PA. George was an amazing, incredible dancer and was one of the original members of American Bandstand, and a member of the former Bandstand Alumni Club. Karen E. (Carlson) Samuels, 68, of North Huntingdon died Friday August 25, 2017 at Magee Women’s Hospital after a yearlong battle with cancer. She was born January 19, 1949 in McKeesport, a daughter of the late Carl “Red” Carlson and Ann (Magdic) Carlson. She was a retired employee of Verizon, a member of the Immaculate Conception Church, Irwin, and a former Red Cross volunteer. She liked to bake, enjoyed walking, and was a big Pirates fan, but most of all she loved her grandchildren and enjoyed spending time with them. They meant everything to her. Surviving are her husband of forty years George I. Samuels; her children Sean (Lena) Samuels of Irwin and Jennifer (Jamie) Zona of North Huntingdon; her grandchildren Lauren, Ashley, and Reese Zona, Aidan and Liam Samuels and Marisa Duncan; her sisters Barbara Rose of Pittsburgh, and Judy (Marty) Orendt of NC; also a brother-in-law; sisters in law; and nieces and nephews. 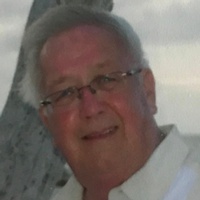 William T. Wilson, 73, of Glassport died August 26, 2017. He is the son of the late Albert and Mary (Marcus) Wilson. He is survived by his beloved wife Patricia (Mihalsky) Wilson; son Douglas (Mary) Wilson of Conneaut Lake; granddaughters Laurel, Bethany, and Emma Wilson; brothers Albert, Richard, John, and Daniel Wilson, sister Mildred Liebel; also nieces and nephews. Bill was retired from US Steel Irvin Works, a member of the VFW in Wilson, American Legion in Glassport, and served in the US Army. Friends will be received Wojciechowski Funeral Home, Glassport Monday 3:30-7pm at which time a funeral service will be held with Pastor Jim Chester. Anthony R. Giacchino, 30, of Penn Township, passed away Friday, August 25, 2017 at Forbes Regional Hospital, Monroeville. Shirley Ann Boyd, 80, of North Huntingdon, passed away Thursday, August 24, 2017 at Golden Heights Personal Care Home, Irwin. She was born in Sewickley Township, a daughter of the late William and Helen Dermotta Ray. Dorothy "DoDo" Ambrose, 71, of Duquesne, died peacefully at home on Wednesday, August 23, 2017. Born in McKeesport, April 26, 1946, she was the daughter of the late John A. and Ann V. (Jakub) Elash. Mrs. Ambrose was a former member of the former St. Mary's Byzantine Catholic Church of Duquesne and a Cashier at Rite Aid, West Mifflin. She was the beloved wife of Charles "Moe" Ambrose. Tammy L. (Poth) Ball Wright, 49, of North Huntingdon, died Monday August 21, 2017, at home. She was born January 21, 1968 in Jeannette, a daughter of Patricia (Winters) Poth and the late Kenneth Poth and was also preceded in death by a brother Kenneth Poth. She worked in personal home health care and was a bus driver for special needs children. In addition to her mother she is survived by her husband William K. Wright; her children Brian and Derek Ball, and Robert “Bob-o” Heasley; two grandsons; a sister P.J. Painter; and her mother in law Clara C. Wright. At Tammy’s request there will be no viewing. Mary "Mame" (Kovka) Mazzola, age 94 of Clairton, passed away on Wednesday, August 23, 2017 in Goodyear, AZ. Born on August 21, 1923 in McKeesport, PA to the late George and Anna (Pido) Kovka. Frances Dufalla, age 89, of Forward Twp., passed away on Thursday, August 24, 2017 at Mt. Vernon of Elizabeth. She was a member of Ascension of Our Lord Byzantine Catholic Church in Clairton and enjoyed baking, cooking, cleaning, and caring for her family. Sharon Laverne Erickson, 67, of McKeesport, died Wednesday, August 23, 2017 at home surrounded by her loving family. She was born May 9, 1950 in Victory and was the daughter of the late Harold and Vera Gash McCorkle. Sharon was a member of the former Victory Primitive Methodist Church and was a retired Administrative Assistant at Jefferson Hospital. She is survived by her husband, Ralph W. Erickson, sons, Brian (Rebecca) Erickson of Mount Vernon and Jason Erickson of McKeesport, grandchildren, Cameron and Colton Erickson, brothers, Kerry (Janice) McCorkle of Charleroi and Scott (Renee) McCorkle of Speers, sister, Lori (Tom) Dubs of Jefferson Hills, nieces and nephews. Walter L. Markowitz, Jr., 72, of Crystal Spring, PA, died Aug. 23, 2017. He is the son of the late Walter and Iva (Barnes) Markowitz. He is survived by his wife Barbara (Zebroski) Markowitz; daughters Kelsey (fiancé Robert Maronski, III) Markowitz of Burlington, NJ, and Michele (James) McConnell of Hawaii; granddaughter Lauren McConnell; brother Gus Mellott of Iowa his beloved dog, Frank and his late cat Sheila; also many cousins, sister-in-laws, brother-in-laws and dear friends. Walt, along with his wife Barb, was the owner/operator of APA of South Jersey and served in the US Marine Corp. Friends received Wojciechowski Funeral Home, Glassport, Mon. from 2-8. In lieu of flowers memorial contributions to the Wounded Warriors Project can be made in Walt’s name. Joseph B. "Wazu" Yaksick, age 69 of Philadelphia, PA passed away in his home on Tuesday, August 22, 2017.Born on July 9, 1948 in McKeesport to the late Joseph A. and Rose J. (Lasich) Yaksick. 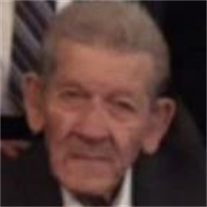 EDWARD C. BOWERS, 89, of West Mifflin, died Aug. 23, 2017. He is the son of the late Roy and Anna Bowers. Beloved husband of Ruth (Appleby) Bowers. In addition to his wife, he is survived by his sister Irene and brother William. He was preceded in death by sister Dorothy and brothers Jack and Jim. Ed was retired from US Steel and served in the US Army, Korean War. A memorial service will be held Mon. Aug. 28, 2017, 11:00 am at the First Evangelical Free Church in McKeesport with Rev. Kirk Albrecht. Funeral arrangements by Teichart-Gracan Funeral Home, Duquesne. 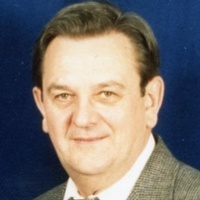 John Novobilsky, age 67 of Liberty Borough, formerly of Monessen, died August 22, 2017 at UPMC Presbyterian. Barry Lavery, 72, passed away peacefully on August 22, 2017, in his Regent Square home, surrounded by his family after living courageously for 5 years with Amyotrophic Lateral Sclerosis (ALS), commonly known as Lou Gehrig’s disease. He was born in Gary, Indiana on November 2, 1944, and is the son of the late Bernard “Bud” and Florence Foley Lavery. Juan Donnell Holmes, 54, of Pittsburgh, Pennsylvania, passed away Monday August 21, 2017 in UPMC McKeesport Hospital. 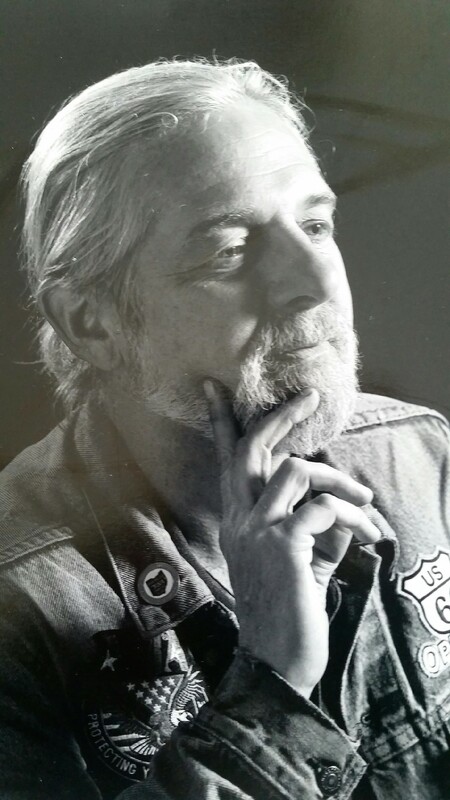 ROBERT TISONY, 63 of Glassport died Aug. 23, 2017. He is the son of the late Dominic and Mary (Dzvonick) Tisony. He is survived by his sister Janice Tisony of Clairton and his brother Jim Tisony of Palm Coast, FL. Bob was precededin death by his sister Susan Tisony and brother Anthony Tisony. Funeral arrangements by Wojciechowski Funeral Home, Glassport. Jill Elizabeth (Morse) Fallone, 51 of North Huntingdon, died Monday August 21, 2017 at home with her family at her side. Jill was a piano instructor for more than twenty years, touching the lives of hundreds of students and their families. She was a member of St. Agnes Catholic Church, North Huntingdon, the Pennsylvania and Westmoreland County Music Teachers Association, and a devoted member of the Victoria Reading Circle where she spent time with many of her most cherished friends. Jill was born August 23, 1965 in Pittsburgh, a daughter of Edmond and Jeanne (Sunday) Morse of Turtle Creek. She is also survived by her husband Mark A. Fallone; her son Nicholas, her daughter-in-law Emily Fallone of Forest Hills, daughter Molly C. Fallone of Mt. Lebanon and her loving Vincent Herrmann; her siblings Douglas (RoNay) Morse of TX, Christopher (Pamela) Morse of Elizabeth Township, and Rachel Morse (Jeff Baughman) of Churchill; two of her loving and devoted friends Michelle and Duke Rupert; also aunts and uncles including Romaine Nagel; nieces and nephews; and cousins including Maxine and her husband Joseph Kollick. Frank B. Jakub, age 88, of North Versailles passed away on Monday, August 21, 2017. He was born on November 15, 1928 in Duquesne, a son of the late Michael and Anna (Banosky) Jakub. In addition to his parents, he is preceded in death by brothers John, Andrew, Edward, and Michael R. Jakub. He is survived by his wife of over 61 years Marlene (Timko); children Karen (husband John Jr.) Bielic, Robert (wife Ellen Losco), and Lynn (husband Gordon) Vytlacil; grandchildren Christina (Neil) Pickard and Matthew Bielic; and his brothers and sisters Albert, William, Florence Jakub, and Dolores Mewkalo. Theresa A. Smith, 74, of Jeannette, PA, passed away Wednesday, August 23, 2017 at her home. Private services were held for Leonard Allen Glunt, 59, of McKeesport, Pennsylvania, who passed away Wednesday, July 16, 2017. Donald H. Baker, age 74, of McKeesport, formerly of Lower Burrell, died and walked into the smiling open arms of Jesus on August 19, 2017, at UPMC McKeesport Hospital. Charles L. "Chucky" Solomon, 58, of West Mifflin, Pennsylvania, passed away Thursday, August 17, 2017 in UPMC McKeesport Hospital. E. Honore (Nora) Bell Pecora, 88 of Elizabeth Township, passed away peacefully on August 18 2017 in Stuart FL. She was born in Pittsburgh on December 27, 1928 and lived most of her life in Elizabeth. She was the daughter of the late Catherine and James G. Bell of Overbrook. She grew up in Carrick and graduated from Carrick High School before earning her Bachelor of Science degree in education from Clarion University of Pennsylvania. During her 33 year career in education she taught at Turtle Creek and Midland High Schools and in the 1958 school year began as a Spanish teacher at Elizabeth-Forward High School. Thomas F. Soltis, 72, of Liberty Borough, passed away on Saturday, August 19, 2017 at home surrounded by his family. He was born February 21, 1945 in Clairton and was the son of the late Michael and Mary Kopil Soltis. Thomas was a Robotics Repairman at the former GM Fisher Body Plant in West Mifflin and was a US Army Veteran serving in the Vietnam War. He is survived by his wife, Jan Lee Jordan Soltis; children, Lynn Soltis (Matthew) Girdharry of Portland, OR, and Michael Soltis and Cameron Lee Chemsak of Liberty Borough; grandchildren, Sebastian, Evangeline, and Alistair; sister, Dolores (John) Hozas of Phoenix, AZ; brother, Michael "Chook" (Carol) Soltis of Aliquippa; sister-in-law, Barb Soltis of Castle Shannon; Godchildren, Marie Chrissy Soltis and Gabriel Naspinski; dear friend, Amy Williams of Liberty Borough; and nieces and nephews. William D. Bekavac, age 66 of Liberty Borough and formerly of Glassport, passed away on Saturday, August 19, 2017 in UPMC East Hospital. Born November 10, 1950 in McKeesport, he was a son of the late Joseph and Julia (Korposh) Bekavac. Francis J. Casey, age 91, of McKeesport, died August 18, 2017, at Riverside Nursing Center. Born December 6, 1925, in Pittsburgh, he was the son of the late Francis Casey and the husband of the late Joyce (Hrapchak) Casey. Francis was retired from US Steel National Tube Works. He was a US Navy veteran, serving during WWII. He was a member of the former St. Pius V Church. He is survived by his daughter, Kathleen Swartz; grandchildren, Charles and Desiree Swartz; great grandchildren, Cherri and Brandi Halfhill; great great grandchild, Lyric. In addition to his parents and wife, Francis was also preceded in death by a great grandchild, Andrew Mcgee. Family and friends will be received at Jaycox-Jaworski Funeral Home & Crematory on Thursday, August 24, 2017, from 11 a.m. until the time of blessing service at 1 p.m. in the funeral home chapel. Fr. Matthew Elanjileth will officiate. Burial with military honors will follow in McKeesport & Versailles Cemetery. 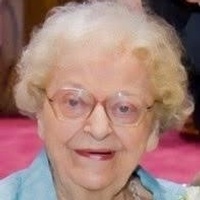 VERONICA M. (WAGNER) BUJDOS age 94, of Indiana, PA, formerly of West Mifflin and Duquesne, on August 19, 2017, in Indiana, PA. She was a daughter of the late Frank and Mary (Balog) Wagner. She was retired from the United States Postal Service as a Clerk. A member of Holy Trinity Church, West Mifflin and former member of St. Stephen’s Church, in McKeesport. She enjoyed playing cards, baking Hungarian pastries, and travelling with her sister to Western Pennsylvania restaurants. Beloved wife of 58 years to the late Joseph A. 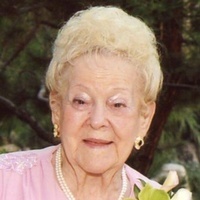 “Tepy” Bujdos, Sr.; mother of Judy (George) Yurgec, of South Park and Joseph (Mary Jean) Bujdos, Jr., of Indiana, PA; grandmother of Alexis (Michael) Saponsky, Matthew (Katie) Yurgec, Jeanne Marie Bujdos, Veronica Bujdos, Lucy Bujdos, and Joseph Bujdos III; great-grandmother of Lizzie, Alexander Joseph “AJ,” Maya Saponsky, Caelyn, Caroline Yurgec; sister of Bernadette (late William) Mikolics, of North Versailles, late Frank (late Helen) Wagner, and the late William Wagner. Mass of Christian Burial at Holy Trinity Church, West Mifflin, on Tuesday, August 22, 2017, at 10 a.m. EVERYONE PLEASE MEET AT THE CHURCH. Rev. Thomas Lewandowski celebrant. Burial will be in Holy Trinity Cemetery. In lieu of flowers, donations may be made to the Veronica M. Bujdos Memorial Fund, St. Vincent College, Institutional Advancement, 300 Fraser Purchase Rd., Latrobe, PA 15650. Arrangements entrusted to MALOY-SCHLEIFER FUNERAL HOME, Duquesne, PA, 412-466-3300. Neil C. Mance, 55, of Irwin, died Thursday August 17, 2017, peacefully in his sleep at home. He was born December 24, 1961 in Jeannette, a son of the late Thomas V. and Mildred N. (Gongaware) Mance. Neil had over thirty years’ service with the North Huntingdon Township Municipal Authority where he worked as a lab supervisor. He loved to fish which he did on the day he passed and loved camping with his son Andrew. He was a loving grandfather. Neil was a member of First Presbyterian Church, Irwin. Surviving are his children, Sarah J. (Chad) Coughanour of Grapeville and Andrew T. (Melodi) Mance of Jeannette; his grandchildren Rosalyn, Austin, Chase, and Rowan; his brothers Val Mance of Sugarloaf, Dale Mance of Arizona, and Joel Mance of North Huntingdon; also nieces, nephews and cousins. Kimberly M. Kiraly, age 70 of Myrtle Beach, South Carolina, died Friday, August 11, 2017. She was born in McKeesport on April 24, 1947, the daughter of the late John J. and Betty Yotter Stanich. Kimberly is survived by her daughters; Amy (Harry) Austin of Myrtle Beach, SC, Kathy (Bill) Nagy of York, PA, Jennifer (Jim)Blair of Overbrook, Jill (Michael) Clark of Dormont, sister; Michelle (Emil) Olson of Jefferson Hills, brothers; John (Cyndy) Stanich of Bethel Park, James (Debbie) Stanich of Ruffsdale, William (Barbara) Stanich of Reading, PA, grandchildren; Tiffany (Brian) Jacobs, Sarah Austin, Harry Austin, Jiri Nagy, Zachary Blair, Dylan Blair, Carly Blair, Melanie Nagy, and Jonathan Nagy, also 1 great grandchild Jackson Jacobs. 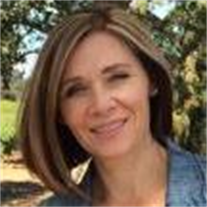 Services were held Friday, August 18th at Strifflers of White Oak Cremation & Mortuary Services (Sue Striffler Galaski, Supervisor 412-678-6177). Condolences may be made at www.strifflerfuneralhomes.com. Michelle Ann "Mickey" Malloy Coughlin, 56, of Versailles, died peacefully at home on Thursday, August 17, 2017. She was born February 19, 1961 in McKeesport and was the daughter of the late Mark Thomas and Joan Zuzo Malloy. She was a devoted mother, loving and helpful to all, had an awesome sense of humor and was truly one of a kind. She will be sincerely missed by all who had the opportunity to know her and love her. She is survived by her husband, Ronald Allen Coughlin, sons, Christopher Michael (Lindsay) Coughlin and Chad Allen (Betty Rhodes) Coughlin, brothers, Mark Thomas (Lisa) Malloy, III, and their children, Jaclyn and Mariah, Thomas Michael Malloy and his son, Justyn, Daniel Edward (Crissy) Malloy and their son, Tyler, sisters, Donna Lynn Goretzka, and Shannon Marie Malloy, Linda Marie Carek and her children, Jason, Amanda, and Colton, , great-nephew, Markus "Pudge" Conroy, great-niece, Arianna Conroy, and many friends, cousins, aunts and uncles. 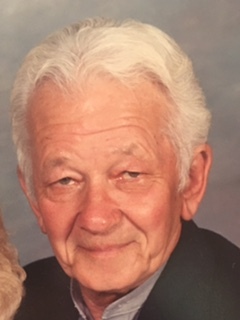 John A. Rezes, Age 87, of West Mifflin on August 16, 2017. He was a son of the late Michael and Julia (Walko) Rezes. He was retired from the Port Authority as a Bus Driver, Movement Director, and Route Foreman. He proudly served his country in the Army in WWII. 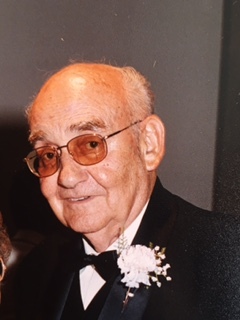 He was the beloved husband of 60 years to Charlotte (Sabo) Rezes; father of John M. Rezes, at home and Suzanne (late Robert) Koribanic, of West Mifflin; grandfather of Brandon Schnelzer, at home; brother of Margaret (late Ernest) Menhart, of West Mifflin, late Michael (late Esther) Rezes, late Helen (late Albert ) Bertak; also survived by nieces and nephews. Private Funeral Service will be held at the MALOY-SCHLEIFER FUNERAL HOME, 915 Kennedy Ave., Duquesne, 412-466-3300, on Monday at 10 a.m. Burial will be in Penn Lincoln Cemetery with military honors. Martha Jamieson Little, 92, of North Huntingdon, passed away Friday, August 18, 2017 at Transitions Health Care Center, North Huntingdon. 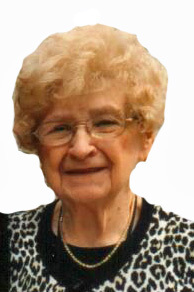 Louise Ann (Cindric) Kartesz, age 95, of Addison, and formerly of Elizabeth Twp. passed away on Friday, August 18, 2017 at home. She was a former member of the former Sacred Heart Church in McKeesport. Mercedes G. Stanley Wilson, 89, of Elizabeth Township, died Tuesday, August 15, 2017. She was born on February 7, 1928 in Clairton and was the daughter of the late John F. and Verda Mae Stilley Schultz. She was the wife of the late Frank A. Stanley who died October 23, 1974 and the late Seth C. Wilson who died April 8, 2017. She worked for over 28 years as a supervisor in the filing department at Equibank in Pittsburgh. 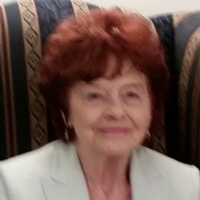 Mercedes was a Deacon and Clerk of Session at Round Hill Presbyterian Church and was also a member of Elizabeth Township Senior Citizens, Meals on Wheels, the Survivors group and was a volunteer with the Boy Scouts. She is survived by her son, Frank A. Stanley, Jr. of Indiana, daughter-in-law, Bonnie Stanley of Wellsboro, step-daughters, Donna Marie (Fred) Jeffcoat of McKeesport, Deborah Gile of Elizabeth, Diana (Donald) Hill of Elizabeth, brother, Billy Schultz of Belle Vernon, sister, Mary Lou Miller of Florida, 16 Grandchildren, 31 great-grandchildren. Marilyn Wisbar Kurutz, 67, of Duquesne, died Tuesday, August 15, 2017, at her home after a long battle with muscular dystrophy and heart disease. Born in 1950 to Ed and Thelma Wisbar, she was a 1968 graduate of Duquesne High School. She attended Point Park College, where she studied accounting. She spent more than a decade working in the insurance industry and was a fashion model for Gateway Associated Photography. She married Stephen (Ray) Kurutz in 1981 and the couple had one daughter, Daveen. She devoted her life to taking care of her family, as a stay-at-home mom and wife until 1999. Diagnosed in her 40s with mitochondrial myopathy and confined to a wheelchair, she didn’t let that stop her from working at Kennywood Park in security for four years. She was a Pittsburgh Penguins season ticket holder, where she enjoyed cheering for her fellow Lithuanian, Darius Kasparaitis. Marilyn was a fighter and a lover. She loved her family and friends fiercely and had a deep love for animals. Dubbed the “downstairs mayor” of Duquesne, she successfully fought to get city hall made handicap accessible. She twice ran the city’s crime watch program, cultivating a large citizen’s group dedicated to helping keep the city she called home safe. She fought and won numerous medical battles and was a breast cancer survivor. She was preceeded in death by her parents and will meet her dogs Ginger, Jo Jo, Buffy, Lucky, Bee-Bee, Stanford and Jo Jo at the rainbow bridge. She is survived by her adoring husband, Ray; her loving daughter Daveen Kurutz, son-in-law Shawn McLaughlin, of Munhall; sister Susan Kobak (Jack) of Angola, Ind. ; goddaughter Kara Kobak, of Los Angeles; sister-in-law Julia Laverne Moreman (Pat) of Greensburg; niece Kelly Moreman of Greensburg; nephews Donald Moreman (Tammy), of Connelsville and Patrick Moreman (Michelle) of Greensburg; a fur grandson, Crosby; a four-legged companion Girlie Girl; and numerous cousins. Veronica A. Hredocik, 95, of Sewickley, formerly of Greenock, died Sunday August 13, 2017. She was born August 21, 1921 in Glassport and was the daughter of the late Valentine J. and Justyna Raczewski Kurzydlo and was the wife of the late Albert L. Hredocik. Veronica was a member of St. Patrick Parish in Christy Park and was a private caregiver. She is survived by her daughter, Justine A. (Larry) Bajek of Sewickley, sons, Gregory E. (Joyce) Hredocik of Elizabeth Township and Robert R. (Beth Ann) Hredocik of Harwich, MA, grandchildren, Tracey (Jim), Brian (Nicki), Lindsey (Gabe), Michael (Amy), Brian (Monica), Justine (Chris) and Missy, great-grandchildren, Lacey, Lyndie, Lauren, Julien, Taliah, Haley, Gabby, Ryan, Kyla and Bryce, great-great-grandchildren, A.J. and Payton, nieces and nephews. George Eric "Unc" Lundberg, 49, of Liberty Borough, died Sunday, August 13, 2017. He was born October 11, 1967 in Portsmouth, VA, and was the son of Shirley A. Petrunyak Lundberg of Elizabeth Township and the late George Thomas Lundberg. He worked for American Works Corp, and Expert Drywall. He was an avid hunter and fisherman and enjoyed teaching his sons, nephews and great-nephews to be a great hunter like him. He was also a longtime coach for the Liberty Borough athletic Association. In addition to his mother, he is survived by his wife, Barbara Kelecava Lundberg, sons, Jake (Hadja) Lundberg of Turtle Creek and Kodi (Shelby) Lundberg of Liberty Borough, granddaughter, Jolena Irene Lundberg, sister, Nadine (Don) Hodge of Elizabeth Township and Mary (Ron) Lundberg of Coulter, God son, nephew , hunting buddy and best friend, Dane (Cory) Dusi, nephews, Travis Dusi, John (Lisa) McCay, Luke (Erin) McCay, Mark Mycka, Matt Bean, Damon DiPaolo, Jr., and Colin Pastor, nieces, Brittany Bean, Erika (Chris) Beltz, Katrina Mycka, Lacey (Adam) Harkins, Rachel Hodge, Darienne Dusi, and Rachel Pastor, great-nephews, Travis, Aidan, Hunter, Ethan, Trigger, Jackson, Justice, Dane, Christopher, and Dylan, great-nieces, Charlie, Joie, Oakleigh and Sophia, brothers-in-law, John (Alene) Pastor and Greg (Lori) Pastor, sisters-in-law, Adrienne (Joe) Dusi, Coleen (Jerry) McCay, and Maureen (Ricky) Bean, aunts, Eleanor Pohorilak, Alice Bertok, and Mary Lundberg, and his dogs, Gunnar and Loki. Harold W. "Pete" Fuller, age 90, of Clairton, and formerly of Elizabeth passed away on Tuesday, August 15, 2017 at Southwestern Nursing Center. He was a retired mechanic for Hercules Inc. in Jefferson Hills. An Army veteran serving in the South Pacific during World War II, he was a member of Olivet United Presbyterian Church of West Elizabeth. Ellen A. Hildenbrand, 65, of North Huntingdon, Pennsylvania, passed away Saturday, August 12, 2017, after a brief illness. Glendora Broadie Harris, 70 years old of North Versailles, formerly of Cheswick, Pennsylvania, departed this life Saturday, August 12, 2017 in UPMC Shadyside Hospital. Keath Dien, 74, of Turtle Creek, passed away Monday, August 14, 2017 at Forbes Regional Hospital, Monroeville. Daniel C. Thornton, age 93, of North Huntingdon, passed away Sunday August 13, 2017 at Excela Health Westmoreland. Florence Madeline Baker, 96, of North Huntingdon, passed away Monday, August 14, 2017 at The Grove of Irwin. Lee J. Wojcik, 63 of Boston, died Sunday, August 13, 2017 at home surrounded by loved ones. He was born December 3, 1953 in McKeesport and was the son of the late Leo Julius and Constance Jean Witte Wojcik. Lee attended the First Evangelical Free Church in McKeesport and was a 1971 graduate of Elizabeth Forward High School. He was a Tool and Die maker by trade and most recently retired from Dyer Industries because of his courageous battle with cancer. He loved golfing and was a motorcycle enthusiast. He is survived by his loving wife of 37 years, Lori Bergmann Wojcik. Father of Benjamin Wojcik of Jefferson Hills and Zachary (Brianne) Wojcik of Lexington, SC. Grandfather to be of Mila Grace Wojcik due to arrive in October. Siblings Kenneth Wojcik of Port Vue, Cynthia McCracken of North Huntingdon, Raymond Wojcik of Sebring, FL, and Gregory (Connie) Wojcik of Virginia. Uncle to 17 nieces and nephews and 23 great-nieces and nephews. Genevieve Scholastica Grese, 87, of Pittsburgh, died Sunday, August 13, 2017 at home. She was born May 1, 1930 in Glassport and was the daughter of the late Ignatius and Anna Rakowicz Jaskolski. She retired from Mercy Hospital in Pittsburgh after 40 years of service. She was preceded in death by her son, David Yesensky who died July 4, 2007. She is survived by her daughter-in-law, Donna Yesensky of North Versailles, grandchildren, Aaron (Denise) Yesensky of Vanderbilt, Jason (Jenn) Yesensky of North Versailles, and Genevieve (John Smith) Yesensky of East McKeesport, great-grandson, Dillon Yesensky, sisters-in-law, Marge Jaskolski of Porter, IN,, and Frances Jaskolski of Glassport, and many nieces and nephews. 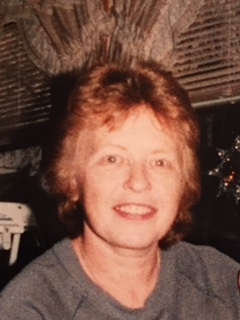 Donna J. Tarczy, 72, of Duquesne, died on Sunday, August 13, 2017. She was born in Rillington on August 18, 1944 to the late Edward and Alice (McGuire) Davis. She was a clerk at Sally Fashions in Duquesne and a member of St. Joseph Church in Duquesne. She was the wife of the Late Robert S. Tarczy; mother of Lisa Galik of West Mifflin, Douglas DeWalt of Versailles and Michele DeWalt of Duquesne; Mother-in-Law of Vicki DeWalt; grandmother of Ian Galik, Lauren Galik, Ashley DeWalt, Frank Galik, and Joye DeWalt; great grandmother of Bentley DeWalt, sister of Amy Shellgren of Irwin. Visitation will be from 2-4 & 6-8 p.m. on Wednesday, August 16, 2017 at the MALOY-SCHLEIFER FUNERAL HOME, 915 Kennedy Ave., Duquesne, 412-466-3300. Blessing Service will be held at 9:30 a.m. on Thursday, August 17, 2017 at the Funeral Home followed by a mass of Christian Burial at 10:00 a.m. at St. Joseph Church, Duquesne. Burial will follow at St. Joseph Cemetery, West Mifflin. Memorial contributions may be made to the American Cancer Society. Anthony G. Picone, age 24 of N. Huntingdon, died Saturday, August 12, 2017. He was born in Monroeville on October 23, 1992, the son of Ronald G. (Sherri) Picone, ll of N. Huntingdon and Nicol Mathews Picone of Youngwood, and brother of Adam Robert Lee Picone. Anthony was a graduate of Norwin Senior High School and was employeed as a concrete finisher for Pecora Flooring. Arthur B. Myers, age 77, of White Oak, died August 11, 2017, at the Family Hospice & Palliative Care in Mt. Lebanon. Born November 1, 1939, in McKeesport, he was the son of the late Francis W. and Margaret G. (Dickey) Myers and the husband of the late Janis C. Myers. He was retired from Westinghouse, where he worked as a computer technician. 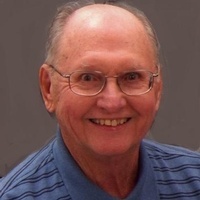 He was a life-long member of the Kephart United Methodist Church and was active in every aspect of the church throughout his life. He loved fishing, hunting and had a true passion for all things outdoors. He enjoyed walking at Indian Lake, visits to Ligonier and taking trips to Vermont to spend time with his daughter and her family. Arthur truly cherished the time he spent with his family. He is survived by his children; Arthur F. (Kris) Myers of Pittsburgh, Karen S. (Raymond) Jeffer of South Burlington, VT and Sharon M. (Eric) King of Penn Trafford; grandchildren, Stephanie and Alyssa Jeffer, Brandon Myers, Justin Zaracki, Tyler and Cameron King; sisters, Mildred Frances Myers Thomas of McKeesport and Mary Ellen (Richard) Myers Hawley of VA; also many nieces and nephews. In addition to his parents and wife, Arthur was preceded in death by his siblings, Thomas W. and Alice Gardner Myers Henning and a daughter, Kathleen. Family and friends will be received at Jaycox-Jaworski Funeral Home & Crematory on Tuesday, August 15, 2017, from 2 - 4 p.m. and 7 - 9 p.m. Service will be held at the Kephart United Methodist Church, on Wednesday, August 16, 2017, 10 a.m., with Pastor Debbie Kociban officiating. Burial will follow in Jefferson Memorial Park. Memorial contributions are suggested to the Kephart United Methodist Church, 906 Fawcett Ave., McKeesport, PA 15132. Karen M. (Naubert) Vitullo, 61, of Wilson, NC, formerly of Glassport, died June 3, 2017. She is the daughter of the late Richard A. and Susan R. (Super) Vitullo. Karen is survived by her brothers, Richard D. Vitullo (Moneta, VA) and John J. (Marsha) Vitullo of Clairton; niece, Angela (Bill) Petrosky; nephews, Jon, Dan, Justin, Jake, Tony and Vincent Vitullo; great-nephew, Dominic Vitullo; great-nieces, Autumn, Sophie and Miranda Petrosky; and aunt, Ann Borkowski; any many cousins. A memorial service will be held August 19, 2017, 10am at Calvary Cemetery chapel in Port Vue with Rev. Miroslaus Wojcicki officiating. James Robert Ranchik, 89, of Elizabeth Township, died Thursday, August 10, 2017. He was born April 26, 1928 in Glassport and was the son of the late Joseph and Anna Pastor Ranchik. James was a member of St. Michael's Parish in Elizabeth Township, Port Vue American Legion and the Buena Vista Fire Co. He was a US Army Veteran and was retired from US Steel Irwin Works. He is survived by his wife, Johanne G. Timko Ranchik, daughter, Marcia Ranchik of Elizabeth Township, son, Mark (Joni) Ranchik of Baldwin, grandson, Kevin (Angela) Baumgartner, step-grandchildren, Alex Bonelli and Andy (Kim) Bonelli, and step-great-grandchildren, Gavin and Evan Bonelli. E. Marjorie “Margie” (Richardson) Bland, age 78, of Turtle Creek, passed away Thursday, August 10, 2017. She was born October 21, 1938 in Wilkinsburg, a daughter of the late Daniel E. Richardson Jr. and Violet Irene (Harry) Cochran. She retired in 2001, as the secretary to the President of Colton Truck Electric, Inc. in California where she lived for over 40 years. She returned to Pennsylvania in 2001 after her retirement. Her interests were bowling, Yahtzee, Bunco, Canasta, ceramics and working. She was also a volunteer at the Turtle Creek Center since 2005. In addition to her parents, she is preceded in death by a half-sister Diane; cousins Carol Ann Ritzel and Laurette Bentz; extended family Toots Meyers. She is survived by her sister Nancy Lee (David) Arendas of Irwin; various cousins scattered about; and adopted family Hazel (George) Perry of California and their grandsons Anthony Perry and his two children of Las Vegas, Nevada and Maria and Ayren Russell Perry of Arkansas and his two children; extended family Rosemarie Batey of California, Carol Cehlar of North Versailles and Louise Malego of McKeesport. Craig T. Holtzman, Sr. age 57 of Rhodhiss, NC, formerly of McKeesport died August 10, 2017. Born August 20, 1959 in McKeesport, he was the son of the late William F. and Rosemary (Ganter) Holtzman. He is survived by son, Craig Jr. (Shelly)of Rhodhiss, NC; sister, Mary (Steve) Hand of Granite Falls, NC, William (Laurie) of Bethel Park, PA, Edward ( Frances “Chee Chee”) of North Huntingdon, and Mark Holtzman of McKeesport, PA; former wife and caregiver, Carol Braun of Rhodiss, NC, and nieces and nephews. 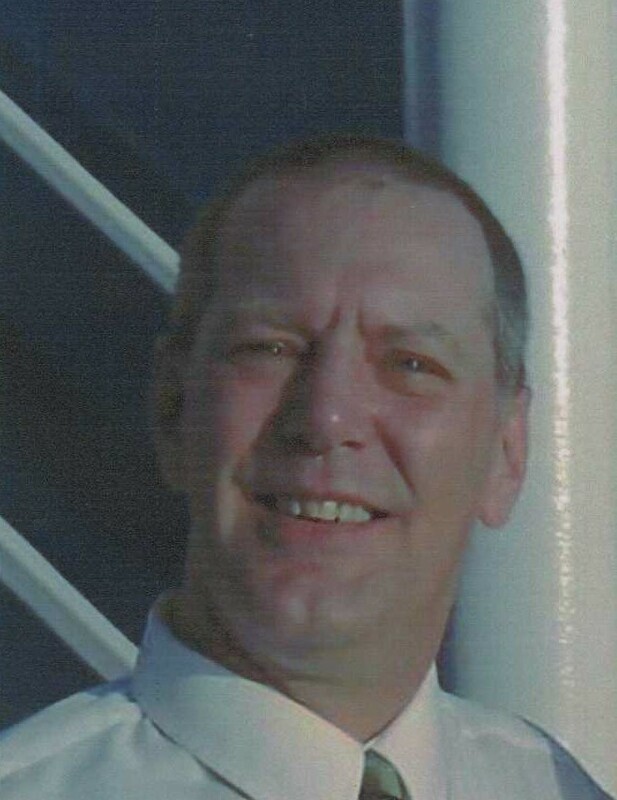 Craig worked as a lumber inspector at Granite Hardwoods and enjoyed being outdoors and gardening. Services were private in North Carolina. Patricia Ann Schwab, age 74 of Glassport, died August 10, 2017. Jill Carol Guffey, age 63, of Elizabeth, passed away on Sunday, August 6, 2017 at home. A former pharmacist at Jefferson Hospital, UPMC South Side and UPMC Shadyside, she was a member of Pine Run United Methodist Church. She was a photographer, enjoyed teaching, was a collector of antiques, and a world traveler. Cynthia Ambroffi, age 59, of McKeesport died August 3, 2017 at home. Sandra Benevento, 76, of North Huntingdon, PA, passed away Friday, August 11, 2017 at Redstone Highlands, North Huntingdon. 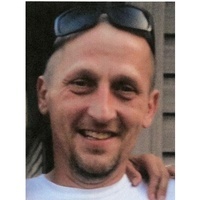 Franklin David Sylvester, age 44, of Derry, PA, formerly of McKeesport, died August 5, 2017. Born October 20, 1972, in McKeesport, he was the son of the late Shirley Scott Sylvester. Raymond E. Sprites, age 76 of Jefferson Hills, passed away on Thursday, August 10, 2017. Born January 27, 1941 in McKeesport, he was a son of the late John and Constance (Montana) Sprites. Donna Rae Koutsouliou, age 73, of Fredericksburg, VA, formerly of White Hall, PA, died August 6, 2017, at Mary Washington Hospital in Fredericksburg, VA.
Raymond Szpanka, 86, of Elizabeth Township, died on Tuesday, August 8, 2017 at home. He was born July 31, 1931 in Glassport and was the son of the late Walter and Helen Dumala Szpanka. Raymond was a member of Corpus Christi Parish in McKeesport and the Polish National Alliance. He was a Sergeant serving in the US Army in the Korean War. For his service he received the National Defense Service Medal, The Korean Service Medal with one bronze star, and the United Nations Service Medal. He was a mechanical engineer at the Westinghouse Plant Apparatus Division. He is survived by his wife of 57 years, Dolores Kobik Szpanka of Elizabeth Township, daughter, Ruth Szpanka of Pittsburgh, close friend of the family, Sue Woloschuk of Pittsburgh, daughter-in-law, Juliebeth Benko of Austin, TX, brother, John Szpanka of Fairfax, VA, sister-in-law and brother-in-law, Mary Ann and Chester Englert of Elizabeth, nieces and nephews. Suzanne Otto, age 66, of North Huntingdon, formerly of Manor, passed away Sunday August 6,2017. She was born November 9, 1950 in Braddock. A daughter of the late John Lee and Nancy (Perry) Otto. She was a member of The First United Methodist Church of Manor. She had worked at the ARC in Greensburg, Suzanne loved to go bowling every Saturday and also competed in the Special Olympics where she Won many trophies and ribbons. Lately she enjoyed playing Nintendo, watching her DVDs and playing Bingo, she was also an avid Pittsburgh Steelers fan. She is survived by her brothers John L. (Dorothy) Otto of Greensburg, Randall (Francie) Otto of Delmont and Eric (Patti) Otto of Irwin; sisters Nancy (Ed) Anthony of Harrison City and LeAnne (Gary) Kistler of Penn; her nieces and nephews, Jamie (Matt) McQuistian , Stacy (Mike) Jones; William Otto, Jeffery (Kelly) Otto, Duane (Angela) Anthony, Brian Otto and Joshua (Tori) Kistler; and their families. She is also survived by her uncle Robert R. Perry of Atlanta, Georgia; and several cousins. Lois E. Slavick, age 87 of Rostraver Twp., passed away on Monday, August 7, 2017 in Jefferson Hospital. Born March 18, 1930 in McKeesport, she was a daughter of the late Herbert and Eleanor (Kurth) Wilkinson. John T. Williams, age 72, of Elizabeth, passed away on Tuesday, August 8, 2017 at Jefferson Hospital. He retired after 25 years as a custodian at Western Psychiatric Hospital in Pittsburgh. An Army veteran having served in Vietnam, he was a member of Elizabeth Wesleyan Church and Blain Hill VFW. He was a volunteer at Elizabeth Boro Food Bank and enjoyed bowling, going to Steeler games, and meeting with his friends at Denny’s. RYAN S. EVANS, 27, of Elizabeth died Aug. 7, 2017. He is the beloved son of Larry "Butch" (Debbie) Evans, Jr. and Donnetta "Netta" (Speedy) Goodrich. In addition to his parents he is survived by brothers Don Williams, Larry Evans, III, Travis Evans, Justin Evans and Andy Goodrich and sister Courtney Niedzwiecki; grandmother Frances Jones and grandparents Elizabeth and Larry Evans, Sr.; also aunts, uncles, nieces, nephews, cousins and many dear friends. Charles Marshall McNeal, 86, of Elizabeth Township, died Friday, August 4, 2017. He was born November 22, 1930 in Beaver Falls and was the son of the late Marshall and Mildred Mulford McNeal. Charles was a member of Faith Evangelical Lutheran Church in White Oak and was retired from US Steel Irvin Works. He was a US Army Veteran and served in the Korean War. For his service he received the Korean Service Medal, the National Defense Service Medal and the United Nations Service Medal. He is survived by his wife, Louise Rapczak McNeal, sons, Donald (Sherry) Pronic of Pittsburgh, Joseph (Theresa) Pronic of Butler, and Ryan Charles (Pamela) McNeal of Kissimmee, FL, brother, Dennis McNeal of Columbiana, Ohio, sisters, Rebecca Trivilino of Royal Oak, Michigan, and Mary Beth Keller of Columbiana, Ohio, grandchildren, Amanda and Brittani Pronic, nieces and nephews. Debra J. Long, 67, of East McKeesport, Pennsylvania, passed away Friday, August 4, 2017 in UPMC Presbyterian Hospital. Eugene “Fritz” Phillips, 80-years-old of East Orange, New Jersey, quietly departed this earthly life on July 26, 2017 at his residence in East Orange, New Jersey. Fred A. Roma, age 92 of Versailles, passed away on Sunday, August 6, 2017 in Sycamore Estates Personal Care Home in Duquesne. Born January 14, 1925 in Trafford, he was a son of the late Alex and Angelina (Fornaro) Roma. Anna O. Mihoces, 94, of Clairton passed away on August 5, 2017 at Mercy Hospital in Pittsburgh. 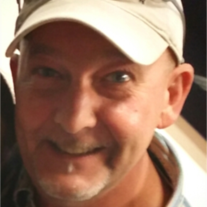 Marcus "Marc" E. Deithorn, 55 of Greensburg died August 4, 2017 at his home. He was born May 24, 1962 in Greensburg, a son of Constance Walter and the late Earl Deithorn. Marsha R. Bittner, 71, of Jefferson Hills died Friday August 4, 2017. She was the daughter of the late Frank and Louise (Willard) Petrosky. She is survived by her beloved husband Allen Bittner; children Robert (Pamela) Pasko, Michael (Michelle) Pasko, Jammie (Paul) Hugus, Cheryl (Alan) Bittner, Melinda (Brian) Anderson; grandchildren Ryan, Rachel, Joshua, Jacob, Christopher, Katelyn, Dylan, Paige, Shane and Maddy. Robert A. Argyle, age 81 of McKeesport, died Friday, August 4, 2017. 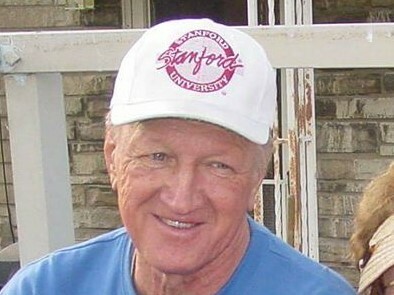 He was born in Dravosburg on September 12, 1935, the son of the late Clarence and Mary Jane Booth Argyle and husband of the late Sarah Jane McClellan Argyle. He worked for Consolidated Coal until his retirement. He was a member of the McKeesport Amvets Post #8 and the McKeesport American Legion Post #361. Daryl Emidio Cecchini, 63, of Versailles, died Wednesday, August 2, 2017. He was born February 2, 1954 in McKeesport and was the son of Marie Carney Cecchini of Greenock and the late Emidio G. Cecchini. Daryl worked for the Westmoreland Water Authority and had previously worked at the former US Steel National Tube Works. He was a former McKeesport City Councilman and served as vice president of Council for 8 years. He was very active in the McKeesport area including coaching McKeesport Little League Baseball and Tiger Football. In addition to his mother, he is survived by sisters, Joyce (Dennis) Mathe of White Oak and Theresa Cipicchio of Versailles, brother, Joseph A. Cecchini of Greenock, and nieces and nephews whom he dearly loved. William R. "Bill" Shedolske, age 89 of Port Vue, died August 2, 2017 at UPMC McKeesport. 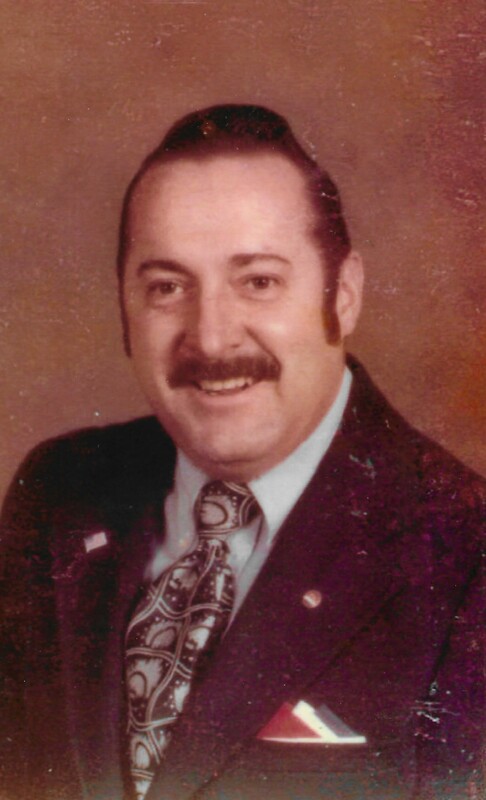 Born August 15, 1927 in McKeesport, he was the son of the late Rudolph and Helen (Jordan) Shedolske, and loving husband of the late Barbara (Dranko) Shedolske. AMY L. SCHINK, 100, of Duquesne, died Aug. 3, 2017. She is the daughter of the late Charles and Clara (Burnett) Kettler and wife of the late Paul Schink. Amy is survived by her sons Paul "Gary" (Joan) Schink of West Mifflin and Theron "Sandy" (Betty) Schink of Duquesne and daughter Gretchen Varelli of Manchester, NJ; also 6 grandchildren, 10 great grandchildren and 3 great great grandchildren. She was a former member of the First Methodist Church in Duquesne. Funeral arrangements by Teichart-Gracan Funral Home, Duquesne. ROBERT L. KARSNAK, SR., 85, of Glassport, died Aug. 2, 2017. He is the son of the late George and Anna Karsnak and beloved husband of the late Elizabeth (Kruzek) Karsnak. He is survived by his son Robert L. Karsnak, Jr. and Leann Karsnak both of Glassport and sister Johanna Karsnak of TX. He was preceded in death by his brother George Karsnak, Jr. Robert is retired from US Steel; a member of Queen of the Rosary and served in the US Army. Bob was a former member of the Christian Men's Organization and was a former cantor for St. Cecilia's Church. Friends received Wojciechowski Funeral Home, Glassport, Fri. 2-4 and 6-8. A funeral mass will be held Sat. 10:30 am at Queen of the Rosary Parish with Rev. Miroslaus Wojcicki. Interment following Calvary Cemetery. Erleen Taylor Gooden, 88, of McKeesport, Pennsylvania, passed away Monday, July 31, 2017 in UPMC Presbyterian Hospital. Frances J. Opfar, age 70, of Forward Twp., passed away on Wednesday, August 2, 2017 at home. Born October 27, 1946 in Johnstown, she was a daughter of the late Wilbert and Dorothy (Bradburn) Opfar. She is survived by her nephew, Mick Opfar of Monongahela; cousins, Deborah (Ed) Freyer with whom she resided, Nancy Sleith of Elizabeth, Joanna Richardson of Jefferson Hills, Roxanne Robinson of Clairton, Don Viviano of the state of Indiana, and Torry Viviano of West Mifflin. In addition to her parents, she was preceded in death by stepmother, Leona Opfar; brother, Frank D. Opfar; sister-in-law, Dolores Spinneweber; and nephew, Ricky Opfar. The family would like to thank offer a special thank you to Mary Grace Renoylds and Three Rivers Hospice for the wonderful care and support. Friends will be received in the Paul E. Bekavac Funeral Home, 221 North Second Avenue, Elizabeth on Friday, August 4, 2017 from 4 until the time of service at 8 PM in the funeral home chapel with Rev. Dr. Lowell J. Meek officiating. Offer condolences at www.bekavacfuneralhome.com. Vera Agnes Harr, 89, of Port Vue, died Tuesday, August 1, 2017. She was born December 25, 1927 in McKeesport and was the daughter of the late Ralph and Helen Miller Como. She was the wife of the late Walter Lewis Harr who died July 1, 2017. Vera was a member of Corpus Christi Parish in McKeesport and had worked for the former Peters Packing Co. She is survived by her sons, Gerald (Rita) Pellecchia of North Huntingdon and Richard Pellecchia of McKeesport, daughters, Debra (Richard) Medina of McKeesport, Karen L. (Robert) Campbell and Ginger L. (Kevin) Ulmer of Elizabeth Township, and Kit M. Wygonik of Trafford, sister, Genevieve "Dolly" Como of McKeesport, daughter-in-law, Susan Pellecchia of East McKeesport, sister-in-law, Barbara Harr of McKesport, grandchildren, great-grandchildren, great-great-grandchildren, nieces and nephews. E. Eileen Williams, age 76 of White Oak, died Tuesday, August 1, 2017. She was born in Harrisburg on March 13, 1941, the daughter of the late Edwin and Esther Maher Williams. She was employed as an Executive Secretary at Kop-Coat Inc. until she retired. She is survived by sisters, Patricia Eversole of Murrysville; Edwina (Michael) Kelley of Chesterfield, Missouri; nieces, Carol; Caitlin; Meghan; and nephews, Michael; Scott; Kevin; Mark; and Matthew. 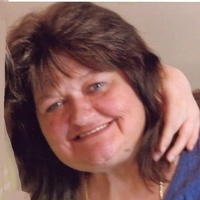 Tina M. Bazzone, age 61 of McKeesport, died July 31, 2017 at UPMC McKeesport. Born November 20, 1955 in McKeesport, she was the daughter of the late Harold and Donna M. (Mackey) Mouring and wife of the late Thomas Bazzone. Kenneth R. Brown, Sr., age 68 of Elizabeth Twp., passed away on Tuesday, August 1, 2017 in Family Hospice and Palliative Care, Mt. Lebanon. Kenneth was born in Cumberland, MD on February 12, 1949 to Gladys (Kellie) Brown of McKeesport and the late David Chester Brown. Dorothy J. “Holly” Serafin, age 92 of White Oak, died Tuesday, August 1, 2017. 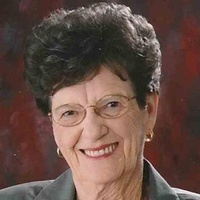 She was born in Cavittsville on August 7, 1924, the daughter of the late Chalmers and Rebecca George Holliday and the wife of the late Theodore “Whitey” Serafin.